Ola Björling released the original Tantrum in early '96. 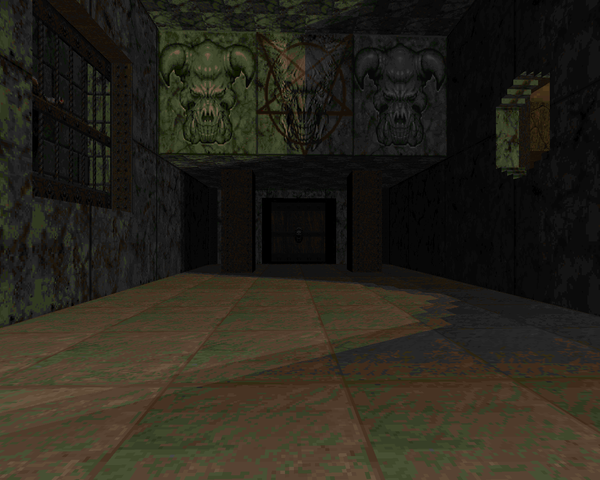 Tantrum 2, released in '98, is a remake of the original, featuring most of the same layout but with improved structure, improved lighting, improved counters, everything. As with the original, it's a map composed of beige brick, brown metal, and a wee bit of green stone, mostly at the beginning and ending. There's no plot, of course. 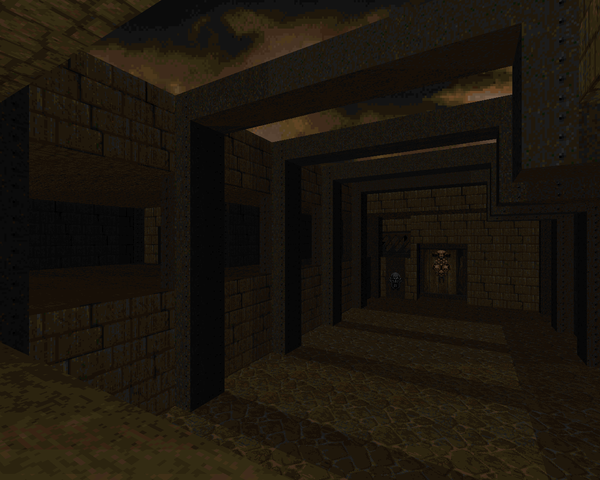 It's just another Doom II map. Well, "just another" is a little disingenuous, because it's an excellent level. On my first playthrough of Tantrum 2 a few years ago, the only big feature I remembered was its difficulty. Now that I've got more experience under my belt, it's not nearly as hard. It's still a tough map on UV, though, with nearly triple the amount of monsters, many of which are mid-tier opponents, coupled with the original's overall lack of health. There's no megasphere to tide you over and such niceties as stimpacks are carefully rationed out. The upshot is that you're rarely wanting for ammo, though depending on the routes you take, you may find yourself running a little low what with all the packs of hell knights mixed with barons, among other things. Björling throws some great shootouts at you, with but a few annoying encounters. Most of the action will probably be bobbing and weaving with the SSG mixed in with a healthy amount of plasma rifle spam and some strategic rocket use. The plasma rifle room is a definite favorite, requiring just a bit of critical thinking to keep from being overwhelmed by its guardians, followed up with some dangers lurking in the off-rooms. 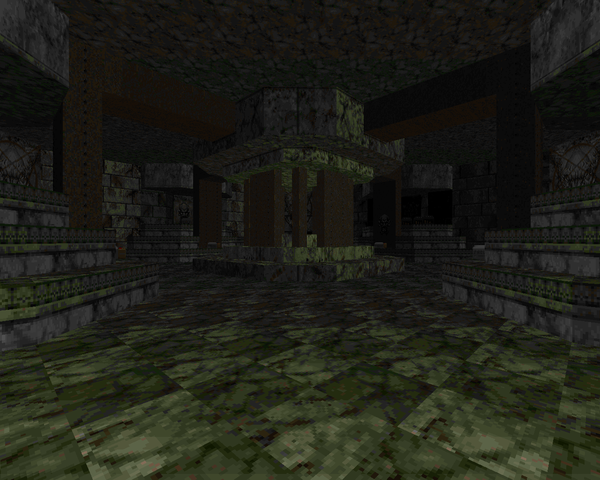 It's also got a great finale, with a marble temple that's slightly difficult to navigate (stairs!) 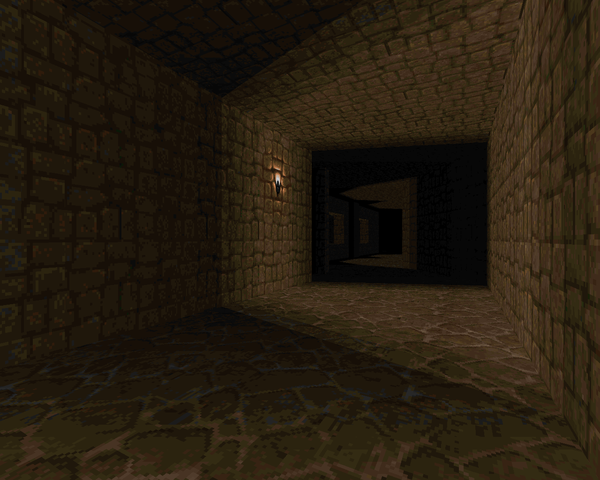 and an initially tricky ambush of enemies followed by a second wave (which you can admittedly just waltz past). My biggest criticism would be that taking down the packs of hoofed opponents with the SSG can feel tedious at times, but if you like the feeling of barely holding back a tide of Hellspawn, you'll have a lot of fun. Compared to Tantrum, there are a few new rooms, replacing the boring annexes of the original and leaving you with a somewhat non-linear experience. You need the blue key in order to access the yellow and red locks. The red key is entirely optional, though you may find some extra scratch lying around in the areas behind it. You'll still have to claw your way through to the center, though, ending at the aforementioned exit palace, thankfully sending you off with a health recharge. The detail and lighting are also significantly improved, giving a visual experience that's not to be missed. Tantrum 2 is really cool. 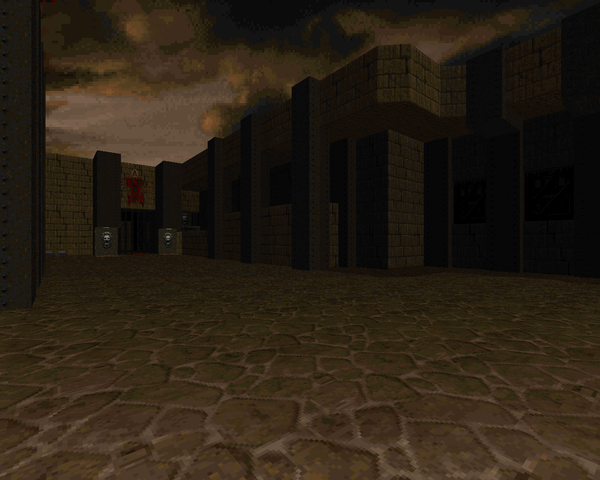 I loved this map back when I first played it, despite all the roughhousing; I might like it even more, now. It's great to see this much of an improvement between it and its predecessor, clearly demonstrating Ola's development as a mapper. There's plenty of eye candy and tons of monsters to keep you busy. You should definitely give it a play, though you might want to dial it down to HMP to cut down on some of the enemy numbers.